This shorter length biker-style jacket has a flattering fit and a fantastic silhouette created by the adjustable fabric belt and chevron padding. 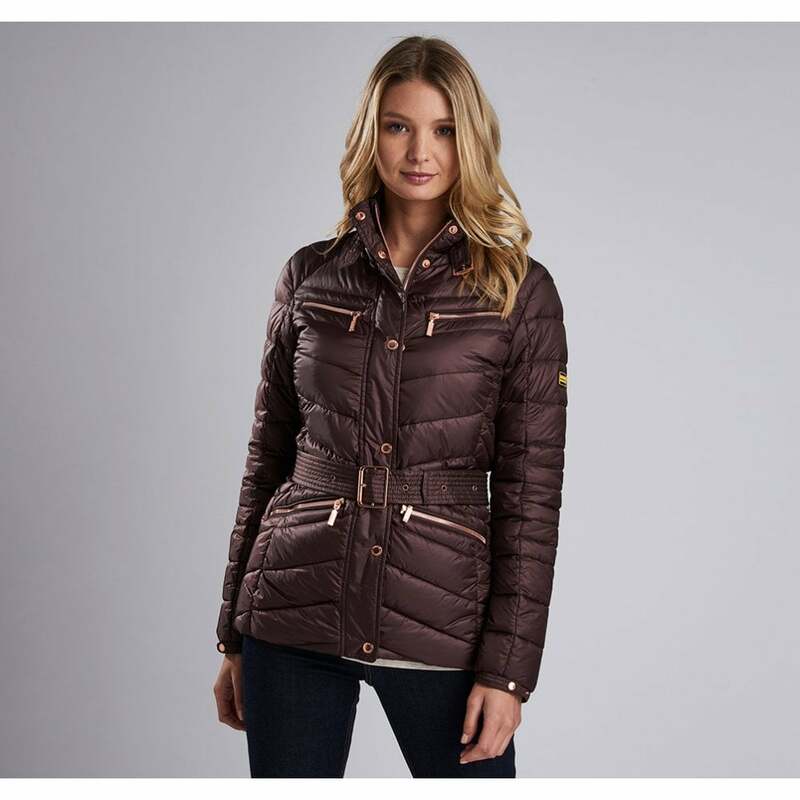 Exposed zips and bright brass buttons add incredible details to this high quality jacket. A high stand funnel collar, cosy quilting and slim fit ensure that this will be the jacket you grab on cold winter days.